More than 800 students are expected at this year’s fall Career and Education Options Fair. The University of New Brunswick in Fredericton is hosting its 2016 Fall Career and Educational Options Fair on Thursday, Sept. 29, from 10 a.m. to 3 p.m., in the Richard J. CURRIE CENTER’s performance gym. Lisa Corey, director of UNB’s Career Development and Employment Centre, says post-secondary students and alumni from UNB Fredericton, St. Thomas University, New Brunswick Community College and UNB Saint John, are encouraged to attend to learn more about the employment and educational opportunities that are available to them. 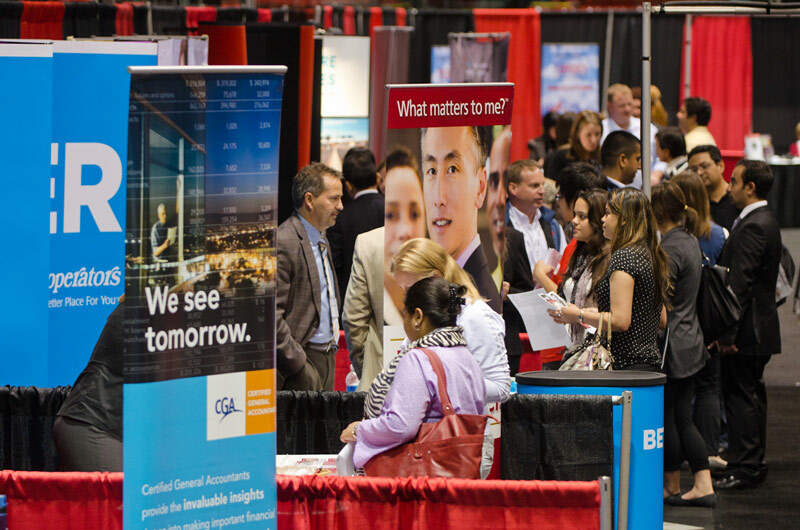 Career fairs provide students with an opportunity to meet with employers, to find out more about their businesses and to explore employment opportunities. It also helps them to gain experience in talking with employers, which helps to build their self-confidence with the networking process. Ms. Corey says businesses are here from all over Canada, and some have offices worldwide and this is a great opportunity for businesses to recruit new, talented employees. “Some businesses are looking for full-time employees, others are looking for summer students, co-op students and interns. There are employment opportunities for students and alumni from all faculties,” said Mrs. Corey. The fair will have 22 post-secondary schools represented, from all over Canada and the United States, and as far away as Antiqua, which provides options for students who are interested in furthering their education after graduation. They also encourage students to come prepared to ask them specific questions, and to market their strengths and skills. Their website offers tips on how to prepare a resume, how to dress for the career fair, how to introduce yourself, how to market yourself, and it reminds students about the importance of following-up with employers following the career fair. With so many options to choose from, this career fair is in place to help students to plan their next steps with their careers. Whether their next step is employment or to continue their education, students will gain the information needed to help them to make those important career decisions. Following the fair, there will be a Student and Business Social from 3-5 p.m. at the Wu Conference Centre, hosted by Ignite Fredericton and other community partners, which is in place to provide a networking opportunity for students and local employers. Interested students and local businesses were asked to register in advance, through Ignite Fredericton.